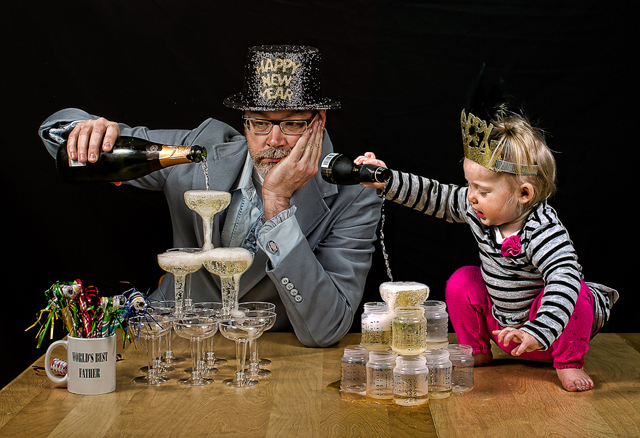 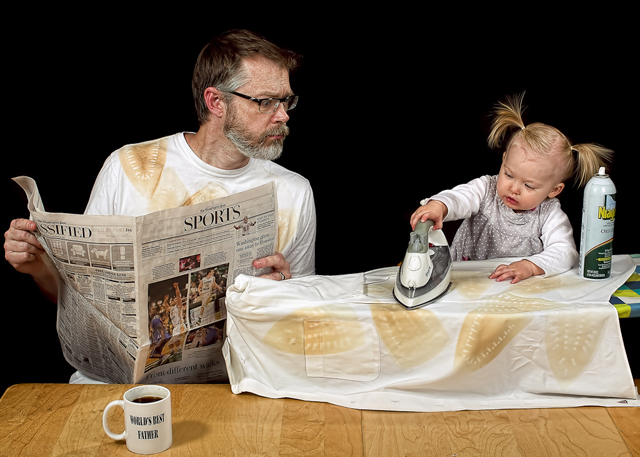 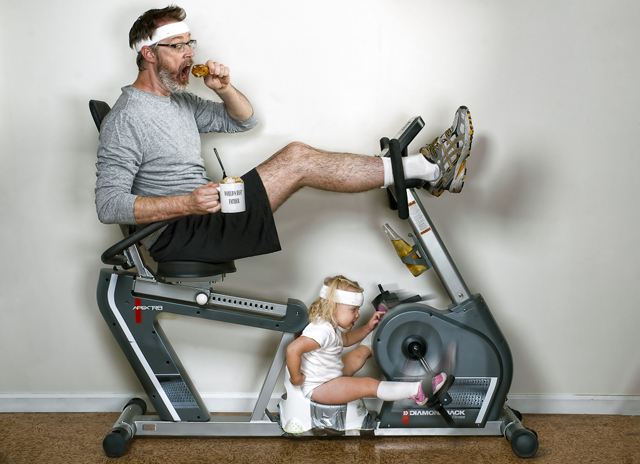 Washington, D.C. father and photographer Dave Engledow has created, with help from his wife Jen, an amazing and funny World’s Best Father photo series where he portrays a clueless, sleep-deprived and unsafe Dad to his adorable daughter Alice Bee, which is the type of father that he never plans to be. 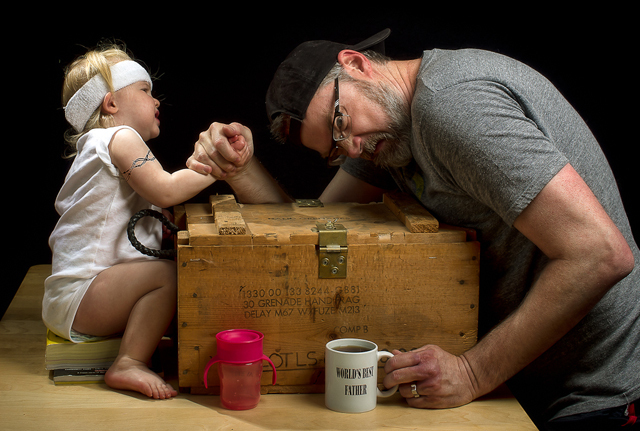 Each photo has Engledow humorously holding a “World’s Best Father” coffee mug. 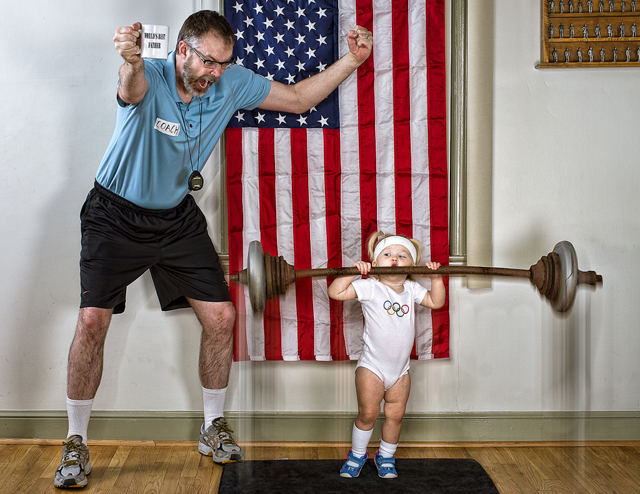 You can view more great photos from the series on Facebook (link) or Fotoblur (link). 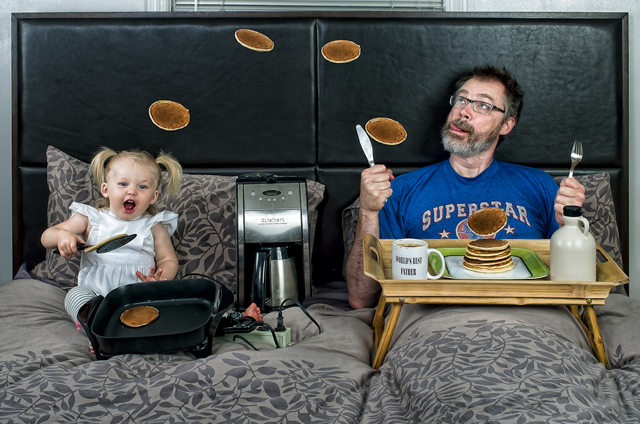 Dave is also raising money on Kickstarter to fund the creation of his World’s Best Father 2013 calendar and offers great backer rewards for those who help out. 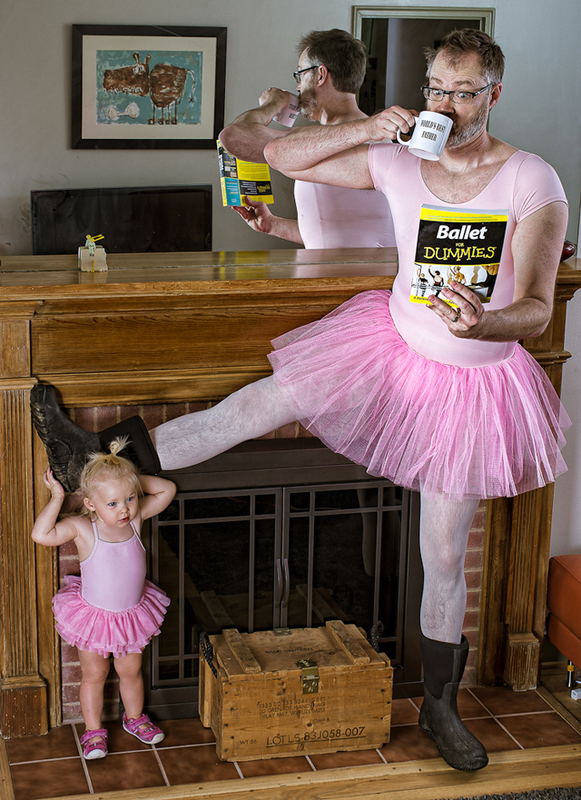 Also, take a look at the behind-the-scenes video of Ballet Master. 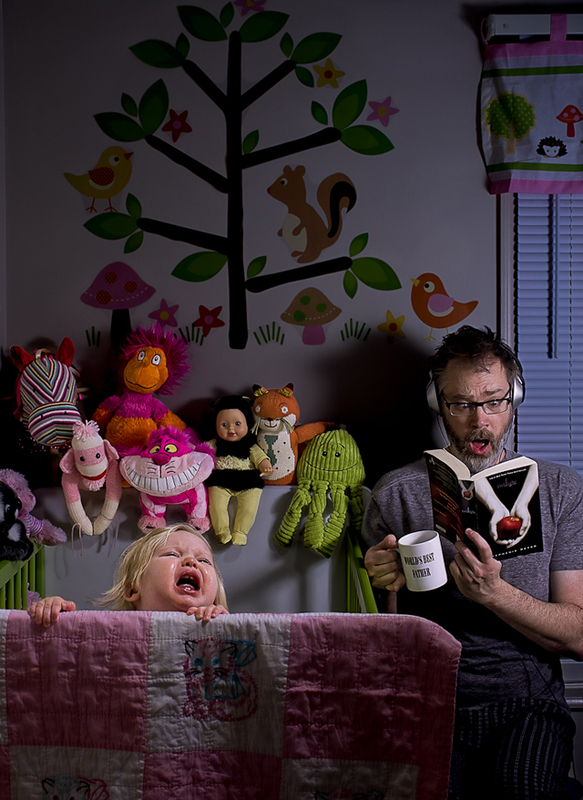 The character I portray in this series is intended to be a parody of the father I hope I never become–distracted, self-absorbed, neglectful, clueless, or even occasionally overbearing. 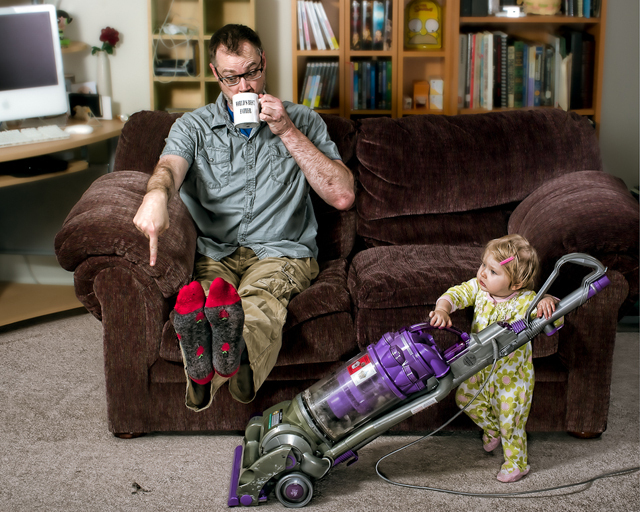 I’ve always used humor as a way to deal with my personal fears and neuroses, and in many way these images are often an attempt to do just that–to illustrate humorously the fears that I and, as I’ve learned, many other new fathers have about fatherhood.